Whether it’s a baby or pet, a new addition to the family calls for new, unexpected responsibilities, and is bound to come with adjustments for every member of the family. While it would be silly to guarantee zero stress for the new family environment, below are tips for a transition with more playtime and fewer headaches to help you get started. Prep the space with all the necessities needed to make your new addition’s life as happy as possible. Based on the needs of your new child or pet, this could mean turning your home office or game room into a nursery, or finding the perfect doggy door to install in the back entrance. After checking big-ticket items off your list, consider how moments such as bath time will change in the new dynamic. 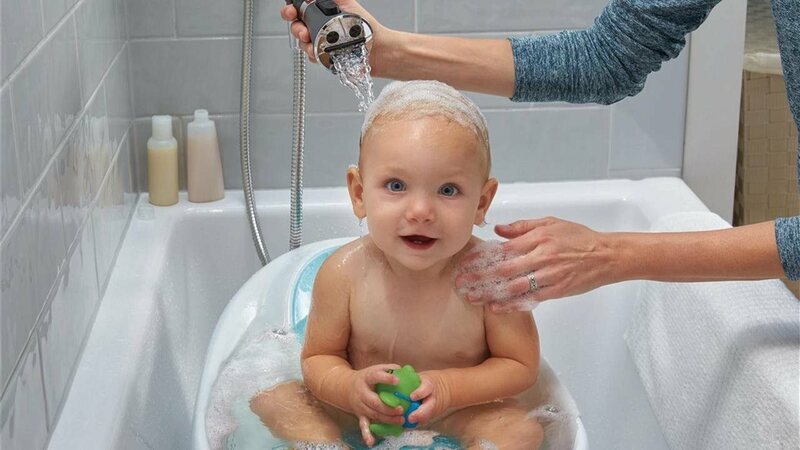 Choose a product that is stylish and functional, like the Peerless SideKick Shower System, which has interchangeable attachments for parents, pet and baby. Versatile shower additions create a one-stop shop for everyone in the family, limiting mess and making bath time more efficient (and cost-effective!). When you walk through your front door, you are greeted with the comfort and security of being in a space made just for you. With a new baby or pet, that could all change! It is important to take a careful look at your home and proof for all possible dangers and accidents. Move chemicals and cleaning products onto high shelves, tape electrical cords to baseboards, find ways to secure cabinets and doors that you would prefer not to have curious hands, mouths and noses digging around in, and make sure anything that can induce choking is stored in a safe place, far away from the curious new family member. A new addition to the family means one more mouth to feed and nurture. 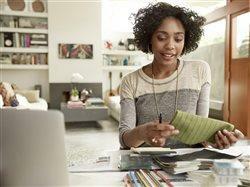 It is important to prepare for unexpected expenses. Babies and pets are more prone to illness, injury and accidents because they are constantly exploring their environment. Remember to plan ahead by setting up a monthly savings plan to make room for miscellaneous expenses in your monthly budget. Go the extra mile and save more money by buying clothes and accessories from thrift or consignment stores, using family or friends for backup daycare, and asking relatives to babysit or puppy sit. Remember that planning is key. You’ve got this! Ensure a stress- and mess-free playtime by designating an area for play in your home. If possible, create a gated space to give yourself a sense of control over playtime activities. This will offer peace of mind and allow your new addition to have fun and express themselves without any inhibitions. Bonus: There is less cleanup time as well. For more shower solutions for the family, please visit peerlessfaucet.com.